Ask anyone about my obsession with succulents. It’s out of control. I put them everywhere I can see an open spot. I like taking old vases, bowls and candle holders so I can re-purposing them into vases for succulents. It adds a pop of green to your room and a little bit of life (as long as you can keep them alive). 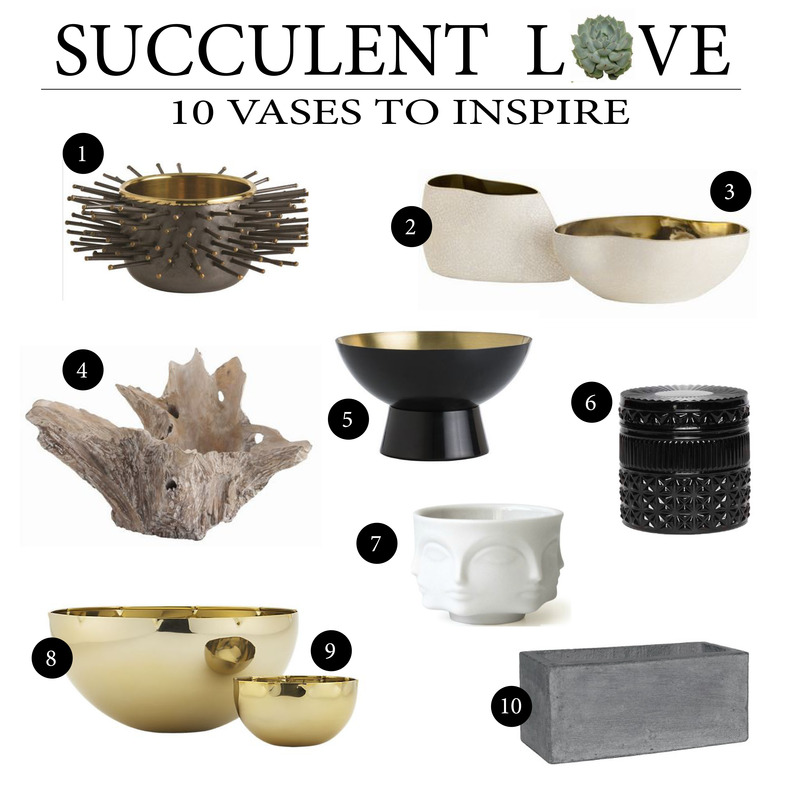 Below are my top ten vases for putting succulents in. BUT FIRST, a little peek at some of my succulent arrangements. And NOW a few of my favorite bowls for planting succulents! 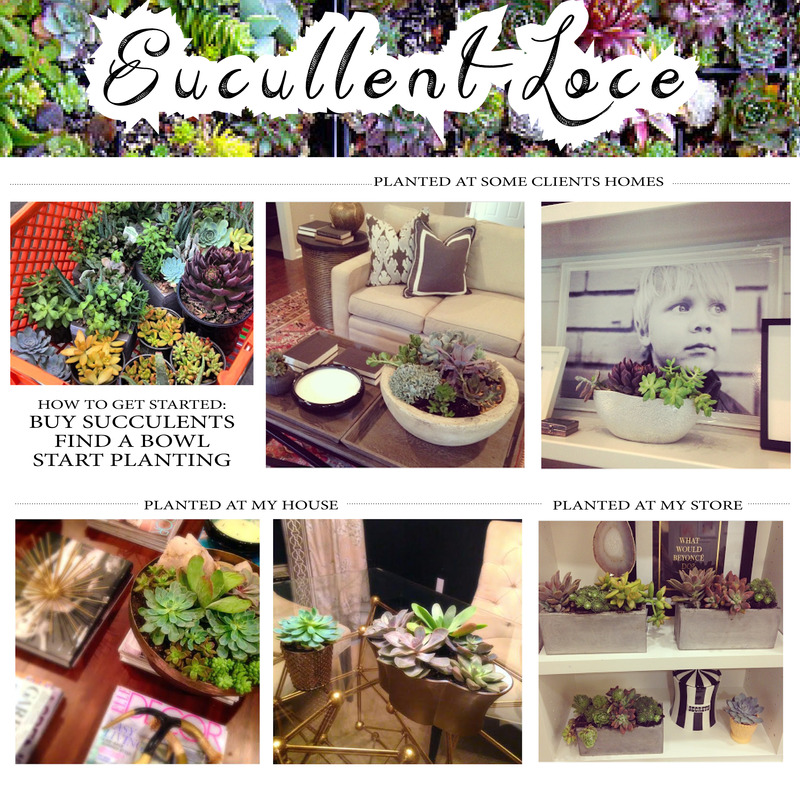 This entry was posted in Uncategorized and tagged ARTERIORS, BOWLS, designer, GEROGIA JAMEA, INTERIOR DESIGN, PLANTING SUCCULENTS, SUCCULENTS. Bookmark the permalink.